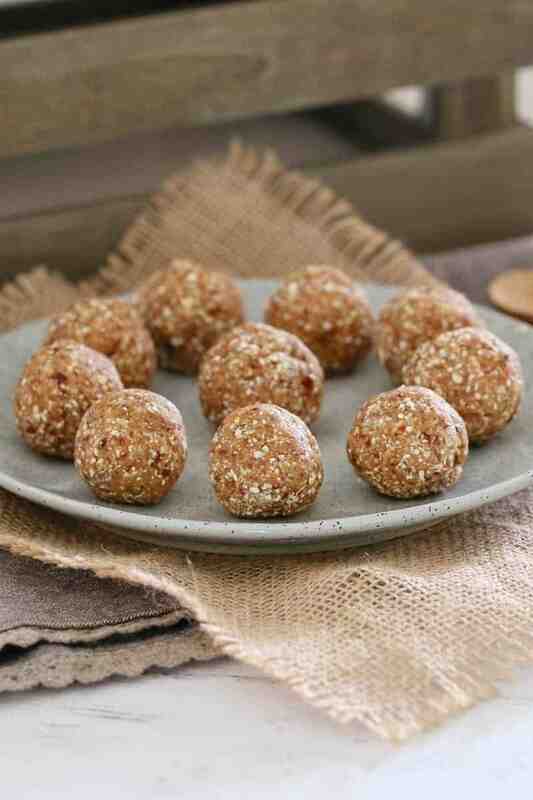 Deliciously Healthy Salted Caramel Balls made from medjool dates, rolled oats, desiccated coconut and a pinch of salt! YUM! 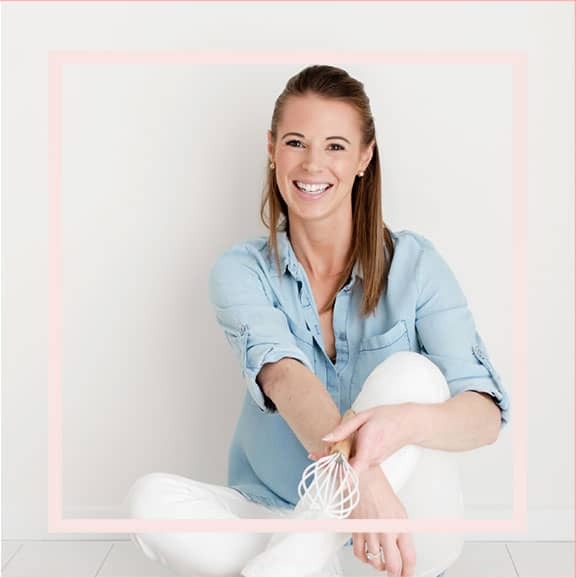 It’s no secret how much I love a salted caramel recipe (I’ve even put all of my favourite salted caramel treats together in one super yummy recipe collection – click here to check them out!!!!). And it’s also no secret that 99.99999% of the time, my salted caramel obsession is with ALL the naughty things… salted caramel sauce, salted caramel mud cake, salted caramel cheesecake slice… you get the idea, right!!?? But it just so happens that (very occasionally) my love of all things salted caramel takes a healthy twist (like that time I made a healthy salted caramel slice and swore it was better than the cheeky/sugar-filled original version). …And best of all?? They taste like a totally decadent dessert! 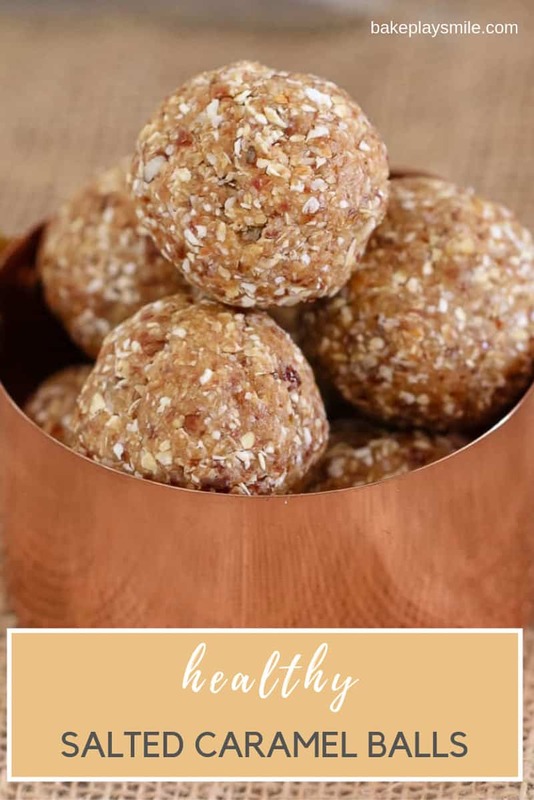 Ooh and because they’re nut-free, they also make a really delicious lunchbox treat. And who doesn’t love a quick and easy lunchbox recipe!? 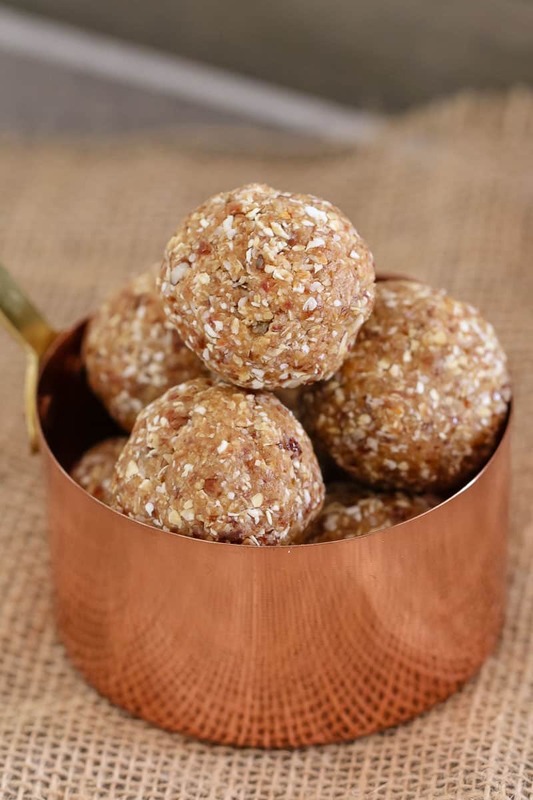 Most bliss balls are made using almonds or cashews… but not these ones! 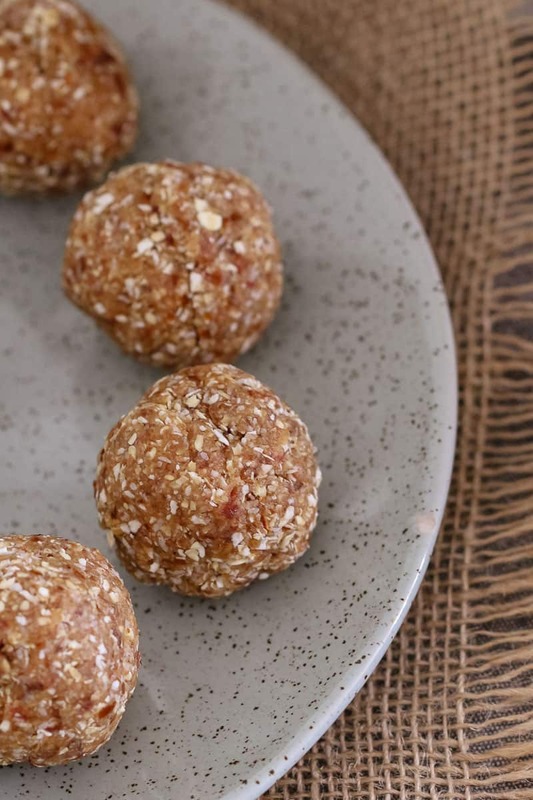 Nope, they’re totally nut-free (making them perfect for anyone with a nut allergy!). So you know what you need to do right now, don’t you?? Yep, make a sneaky trip to the supermarket (even better if you already have the ingredients and can skip this step!! 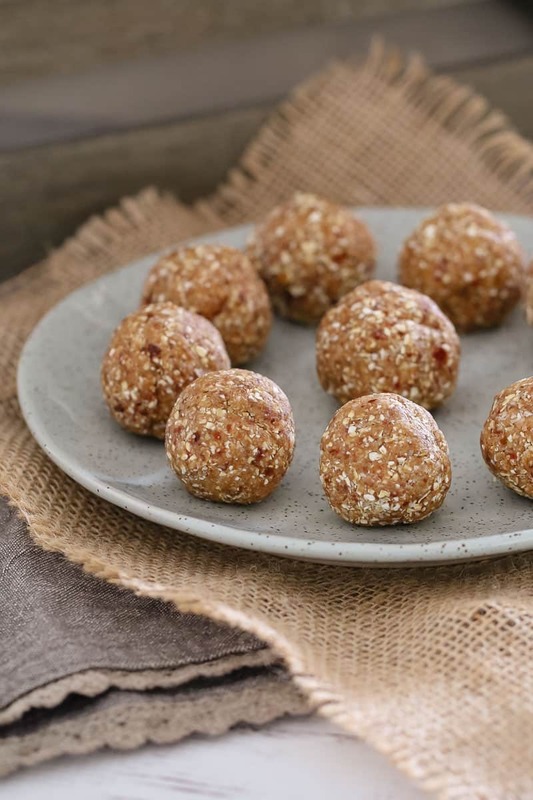 ), take 5 minutes to whip up these Healthy Salted Caramel Balls, grab a cuppa, sit down and relax with your totally guilt-free treat. Add all ingredients into a blender or Thermomix. If using a blender, blitz until all ingredients are finely chopped and the mixture comes together (it will resemble small crumbs). If using a Thermomix, press Turbo until the mixture is finely chopped and comes together (it will resemble small crumbs). Take large teaspoonfuls of the mixture and roll into balls (see notes). Store in the fridge for up to 5 days or in an airtight container in the freezer for up to 2 months. Medjool dates can be bought from all major supermarkets. 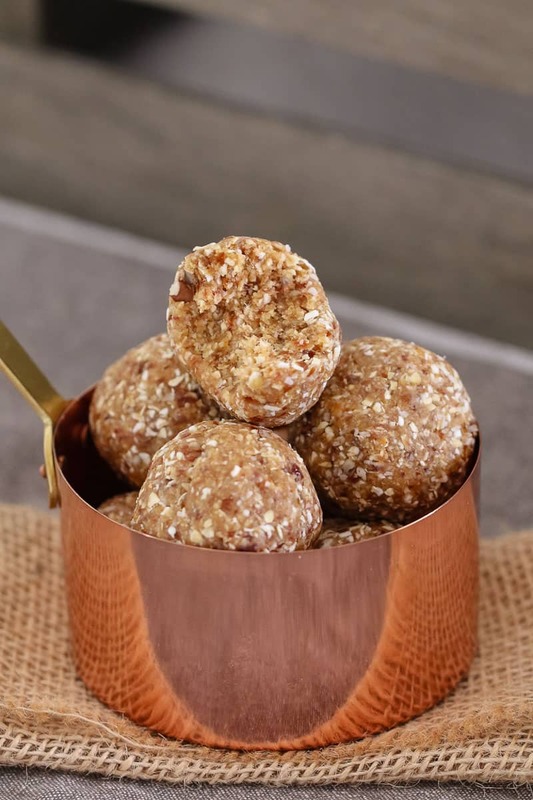 If you can't buy medjool dates, you can use dried pitted dates, however, you'll need to soak them in water for 15 minutes before using and may also need to add a little water to the mixture when blitzing. 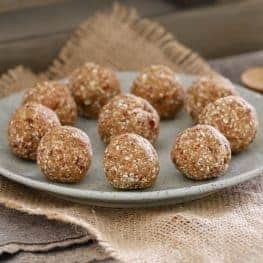 If your mixture is not easily rolling into balls, add a little water to the mixture and blitz again until it comes together easily. Absolutely delish! Even my near there year old loves them! 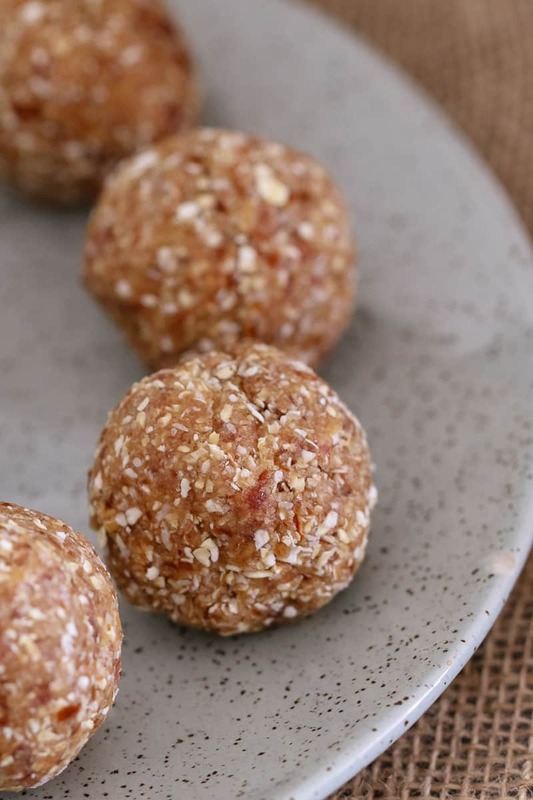 I’m just about to make these but so very confused about the caramel…. So they do…!! These are delicious! My balls wont stick together?